There’s more to your website once it has been successfully built. Whether you are expecting a rise in visitor traffic or perhaps increase the number of back-end processes, let IVC Productions, LLC handle your web hosting and email hosting needs. Why does hosting matter? Every time you click with your mouse, download a file, receive a form submission or play a video, a web server processes the action. How quickly the web server responds depends on the amount of RAM available, the memory limit and how much of that space is reserved for you. IVC Productions, LLC can help determine which performance speed level works best for you. We offer different performance packages to make your hosting needs affordable and stress-free. WordPress Hosting made simple — and blazing fast. We handle the hosting setup and management dirty work so you can focus on creating an amazing website. Handles the most complex and traffic-heavy sites. Guaranteed 99.9% uptime. Industry-leading load times. 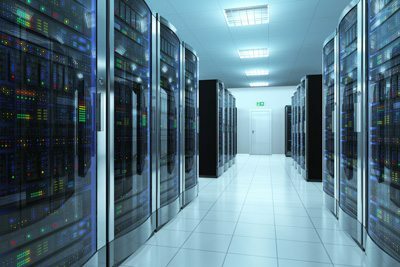 Dedicated servers offer a higher level of control and performance than shared hosting, and more predictable costs than virtual servers. Explore IVC Productions, LLC Email Hosting Services: We make it easier for teams to connect, communicate and collaborate with a wide choice of industry-leading email and productivity solutions. Each offering is backed by award-winning Fanatical Support and our team of email and productivity specialists can help you choose, deploy and manage the right solution for your business.